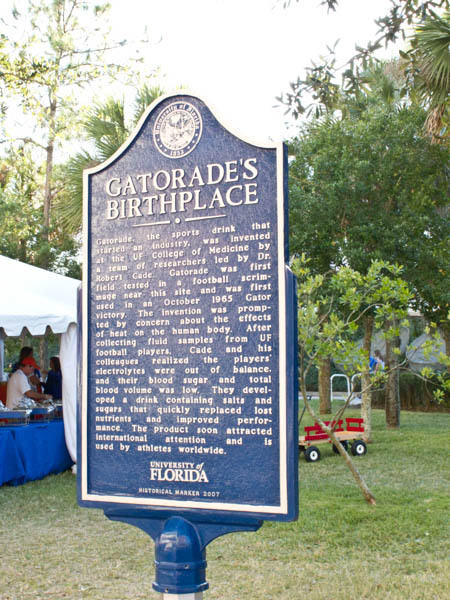 If you’re a sports fan, you’ll definitely want to stop by the University of Florida campus in Gainesville and pay homage to one of the greatest sports programs in the world. Not only does UF excel in academics, but the sports teams are some of the best around. Start your tour by heading south on Gale Lemerand Drive from University Avenue. Lemerand Drive, formerly North-South Drive, begins at the Emerson Alumni Building and ends at the Shands Medical Center complex at Archer Road. But it’s the first block or two south of University Avenue that’s of note to sports fans. The first thing you’ll likely notice is Ben Hill Griffin Stadium, home of Steve Spurrier Field. Spurier was first a terrific football quarterback in the 1960s’. He was awarded the Heisman Trophy and later went on the becoming the “Head Ball Coach” at UF– and deemed by many to be the most successful coach in all of college football. 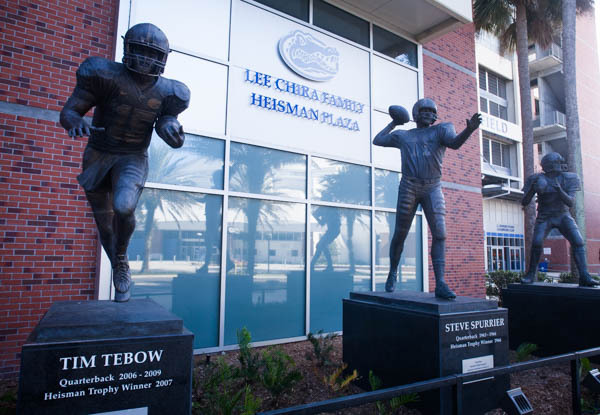 You can see Spurrier’s statue alongside the stadium, flanked by two more UF quarterbacks who also won Heisman Awards–Tim Tebow and Danny Weurffel. 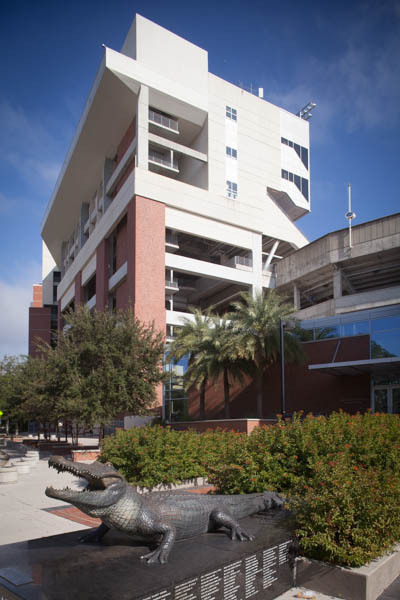 While you’re at the stadium, take a minute to have your photo made with the “BULL GATOR” at the corner of Gale Lemerand Drive and Stadium Road. It’s a tradition–and this gator won’t bite! Another highlight of this part of campus is the O’Connell Center, home of the Exactech Area. While football rules at Florida Field, just across the street, you might be lucky enough to score a ticket to a UF mens’ or womens’ basketball game, a swim meet, Gator gymnastics or a volleyball game at the “O Dome”. Note regarding access: Some of the roads on the University campus are closed during school hours, at least until 4:30PM, and parking (like on ALL college campuses) can be difficult. There are a few metered spaces next to the O’Dome but visitors might consider the parking deck at the Reitz Union. The entrance is off Museum Road, just east of Gale Lemerand Drive.